I was up visiting Crashdive yesterday. Had something to drop off for him. While we were out in his bladesmith studio, he brought out this little beauty. Needless to say, it followed me home. I will use it as a bird and trout knife. 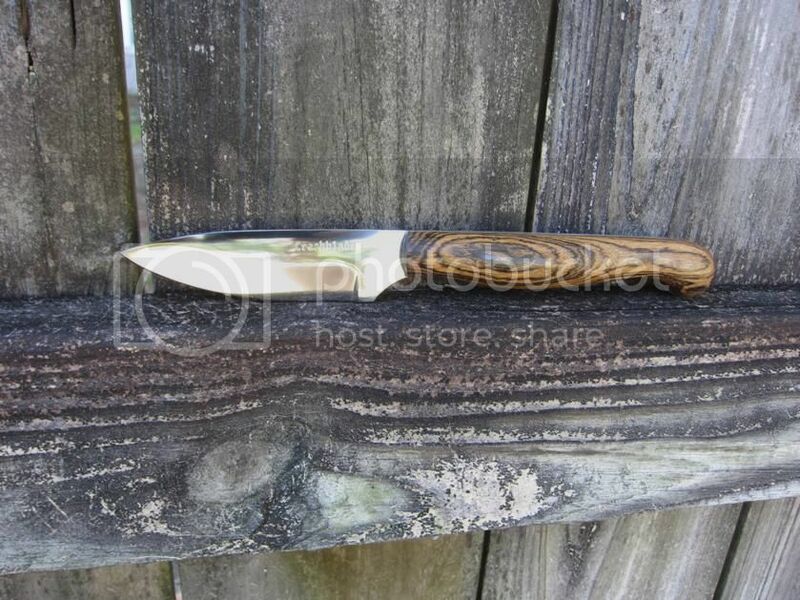 Sharp as a razor, with a beautiful Bocote wood handle. Great sheath with it to make it even better. That's a beauty. I love bocote. Glad you like it Sam. Congrats Sam on the new blade it looks Great! Nice. I was hoping we was selling that one (to me! ).